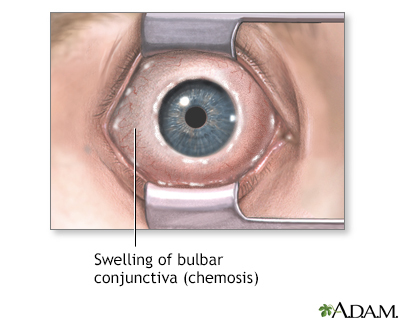 Chemosis is swelling of the eye surface membranes because of accumulation of fluid. This symptom is often related to an allergic response. Over-the-counter antihistamines, and a cool cloth placed over the eyes, are usually used to try to alleviate the symptoms.